So, I said in the last review of an Odd Thomas novel that I’d probably not pick up the next book so soon, and yet I did. As you might remember, Brother Odd did not get my raving review; it was awful. And yet I returned to the shelf and retrieved Odd Hours. Odd Hours starts almost immediately after Brother Odd; his psychic magmatism has brought him to Magic Beach, where, if you hadn’t guessed, terrible people are about to do terrible things. Similar to the previous books, the entire story takes place in the span of a few hours, and yet it takes forever to get anywhere. Odd has to stop and contemplate the meaning of life, good people and bad people, and then chats with unbelievably interesting and profound characters about such things. I like Odd, I really do, but he’s such a slow protagonist. 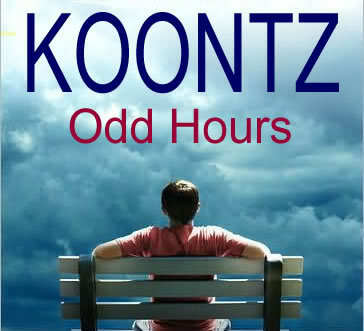 I saddled Odd Hours with a 3/5 because while Koontz has a lovely way with words, he often forgets that he’s writing a story, not preaching peace and love to humanity. While I read the first half of this book in about a week, I’m stuck not that far from the edge. I have no desire to finish this book. It doesn’t call me. I don’t care what happens. I know that Odd will rise and save the day and stop the worst from happening, narrate about it for a bit, and then feel the sudden urge to go somewhere else and save the day – some other American town where the people are such as cleverly minded and witty as him.